The Solar Credits incentive, which can slash the cost of a home or commercial solar power system by many thousands of dollars, won’t be quite as generous in the not too distant future. The Solar Credits subsidy is based on small-scale technology certificates (STC), also known as renewable energy certificates (RECs) . These certificates have a value that is dictated by market forces. STCs are currently worth around $38 each – it varies depending on where they are being traded. In the past, there have been occasions when they’ve been valued much lower; at times a bit higher. 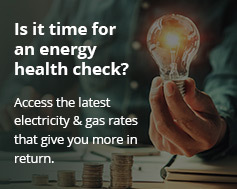 While popularly considered a “solar rebate“, this isn’t correct. The financial benefit from these certificates is usually factored into advertised solar package prices and provided as a point of sale discount. This saves the purchaser the hassle of dealing with the certificates post-purchase and reduces the initial capital outlay required. The number of certificates that accompany a solar power system is based on installation location and the amount of electricity in megawatt hours (MWh) the system will generate over what’s known as a deeming period (15 years) or 2030 – whichever comes first. One certificate is equivalent to one megawatt-hour of electricity production over the period. For example, a 5kW solar power system (with or without battery storage) installed in Melbourne (Zone 4) is currently entitled to 88 certificates. With the certificates factored in, the cost of the system is reduced by approximately $3,344 (88 x $38) – so it’s a substantial amount. Home owners, small businesses and community groups are all eligible for this subsidy. However, the level of incentive will soon drop. As mentioned, the deeming period for certificates is 15 years or 2030; whichever occurs first. So, from next year, that will be the latter. In 2017, the deeming period will be reduced to 14 years. In 2018, it will reduce again – and so on. Assuming the status quo of RET policy remains, what this means is in the first year of this reduced deeming period, the incentive will drop nearly 7%. If the value of certificates also drops; this will have an added impact. The reduced incentive and other factors such as the ailing Aussie dollar are considerations those who are still tossing up when to make the switch to solar should keep in mind. It’s a decision that perhaps shouldn’t be left until last moment, as historically incentive reductions have often been accompanied by a rush on systems.